Washing dishes is widely considered a daily chore, but the task is worsened if you suffer from a latex allergy and can't use rubber gloves to protect your hands. The Supertouch Nitrile N15 Latex Free Washing Up Gloves are an excellent allergy-free alternative to household rubber or latex gloves. With their 33cm length, these gloves offer ample hand and arm protection to ensure water or detergents don't accidentally infiltrate your gloves when your hands are submerged in water. 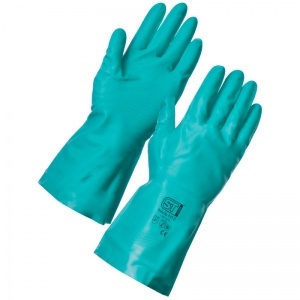 If you're looking for long washing up gloves, the Supertouch Nitrile N15 Gloves are ideal for you. 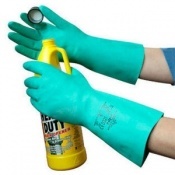 With their 33cm length and nitrile material, the long sleeve gloves are our top pick if you're looking for hand and forearm protection as well as non-latex gloves for washing dishes. 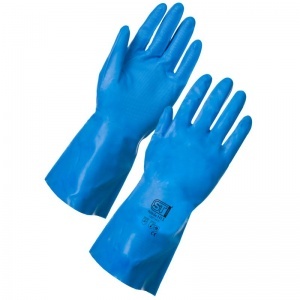 These non-latex dishwashing gloves are ideal if you are sensitive to latex, rubber or detergents and require a way of protecting your hands while you perform household tasks. Who Can Use the Supertouch Nitrile Kitchen Gloves? The Supertouch Nitrile N15 Long Gloves are an excellent alternative to rubber or latex gloves for household work like washing the dishes, pots and pans. Made with nitrile, the gloves help prevent skin irritation and allergic reactions so you remain as comfortable as possible while you wash up. These gloves are so affordable and cost effective that they are even suitable if you work as a dishwasher in a restaurant or kitchen and need an alternative to latex gloves. To find out which size of gloves you require, for these Non-Latex Washing Up Gloves, please measure the length of your hand from the tip of your middle finger to the crease of your palm. Next, measure the circumference of your hand at the widest part of your hand just below the knuckles and consult the table below. Good value for price and quick delivery. I know they're only rubber gloves, but the right gloves at unbeatable price and delivered to my door in no time at all. Couldn't have been better. 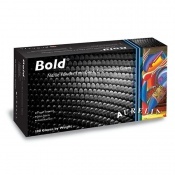 Fast delivery, best price and perfect for general protection.